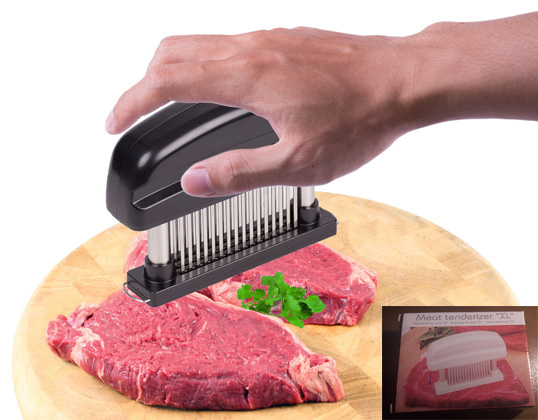 Square Shape Meat Tenderizer - 48 pcs Kitchen Stainless Steel Bade Meat Tenderizer . 1) Packing : paper box. 2) Color :white or balck. 3) Material: ABS and stainless steel!